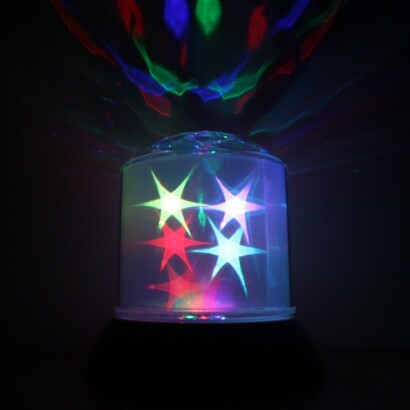 Pretty translucent stars shine from within this soothing mood lamp whilst colourful projections fill your ceiling with a magical light display. 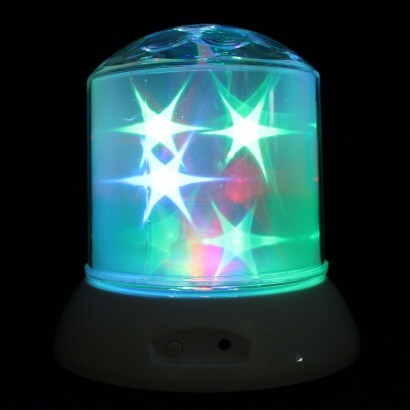 Battery operated, the LED Starlight Projector can be placed anywhere in your home projecting mesmerising patterns that can be enjoyed for relaxation, soothing away the strains of the day. 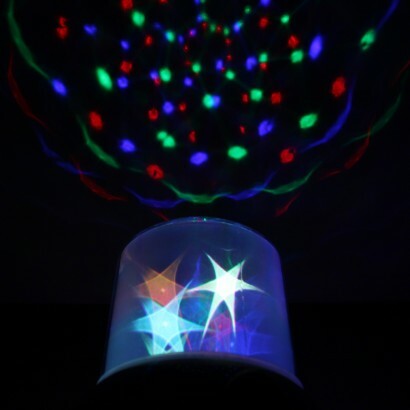 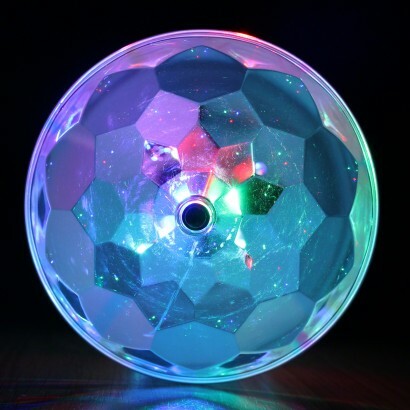 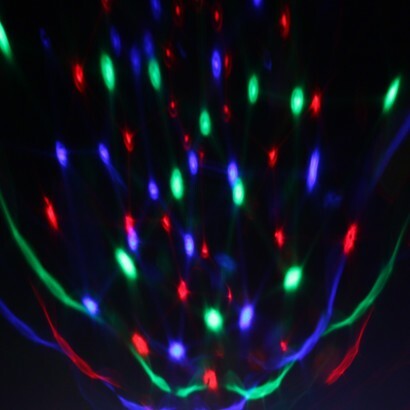 Ideal for use in kids rooms, the stars within the lamp dance and colour change as red, green and blue patterns of light project and rotate on your ceiling in a light show that will captivate kids of all ages.